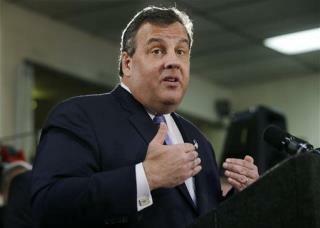 (Newser) – So endorsing Chris Christie for governor wasn't the best idea after all. "We blew this one," writes Tim Moran, editorial page editor at the New Jersey Star-Ledger. To be fair, the editorial board didn't think Christie's team "was crazy enough to put people’s lives at risk in Fort Lee" or that Christie "would use Hurricane Sandy aid as a political slush fund." Plus he'd done good things, like boosting education in struggling cities and reining in costs with pension and health reforms. Most importantly, the endorsement was a hard choice "between two flawed human beings." Gee, if I make a comment, I hope it doesn't get deleted like it did yesterday. What happened to freedom of speech? Evidently, someone gets a little touchy when you mention the Koch brothers in a bad light and that Republicans should be voted out. Biased reporting at its worst. While correctly pointing out the flaws in Mr. Christie and the embarrasment over the newspaper's endorsement of him, the article goes to say, "... he'd done GOOD things, like boosting education in struggling cities and REINING IN COSTS WITH PENSON AND HEALTH REFORM." How do we know these were good things? Sounds like conservative code words for cutting benefits to people who need them and slashing retirement funds for retirees. It's the same tactic Fox News Channel uses over and over. Keep repeating a mantra (like Social Security is doomed) and folks start to believe it. Social Security wouldn't be in peril if we could only get corporate America to pay their share of taxes on enormous profits to keep the system viable. Conservatives want your money, your schools and your pension money. They lie, even when they don't have to... and they usually have to. Watch for Christie's lawyer to intimidate the 2 mayors in the scandal. Then watch for Christie's lawyer to attack the characters of the 2 mayors. The bullying behind the scenes will backfire and work against the governor.